Ring in the sunny season with bohemian bells and airy lines. With a relaxed feel and playful design, the Sittin Pretty is made to roam. 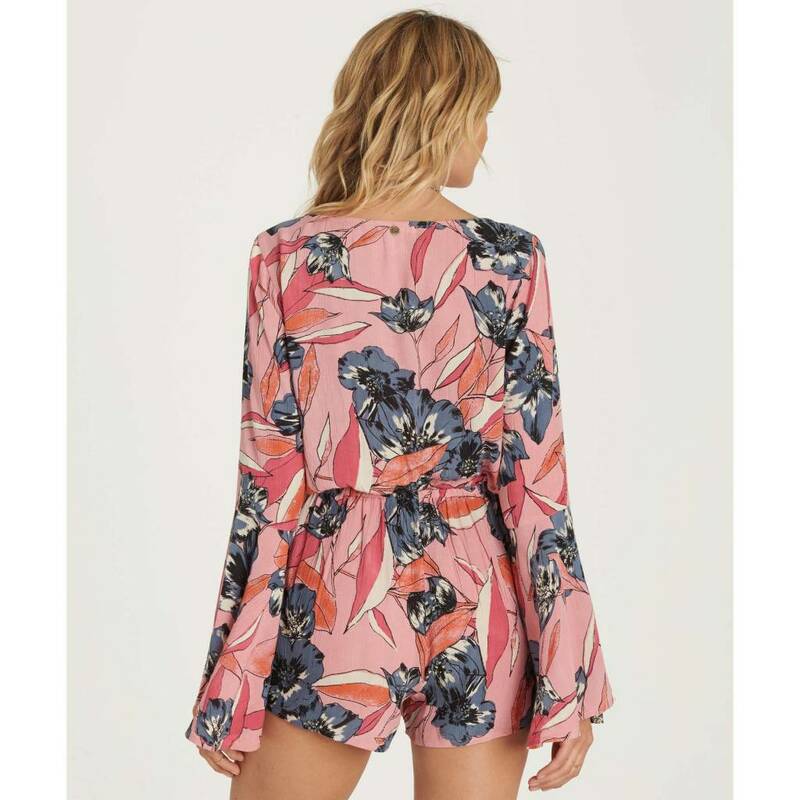 The long sleeve romper features bell sleeves, a deep V neckline and tie at the natural waist. Pattern: floral print or stripe print. Alana is wearing Faded Rose and Blue Stream in size M.